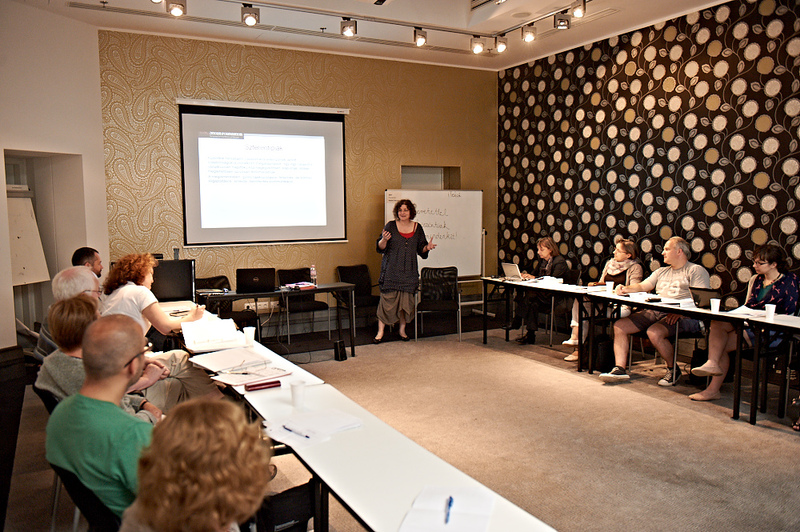 For the third consecutive year, a new group of teachers gathered in Hungary for the Teaching with Testimony in the 21st Century professional development program to learn how to create their own testimony-based lessons and classroom activities. 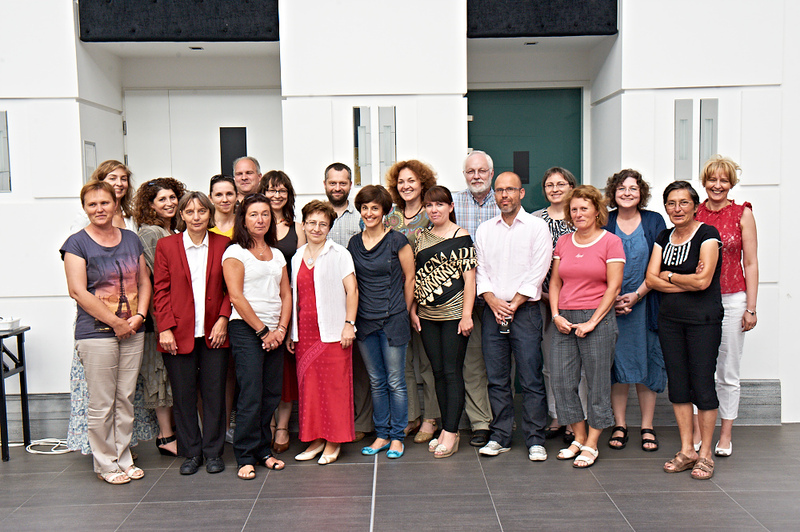 From June 29 to July 4, 17 participants – middle- and high school teachers, as well as a primary school teacher and a university lecturer – attended the initial training session and workshop at Central European University in Budapest. CEU is a full access site of the Visual History Archive. Participants came from all over Hungary as well as from Hungarian-speaking territories across the border: Transylvania (Romania), Subcarpathia (Ukraine) and Subotica (Serbia). 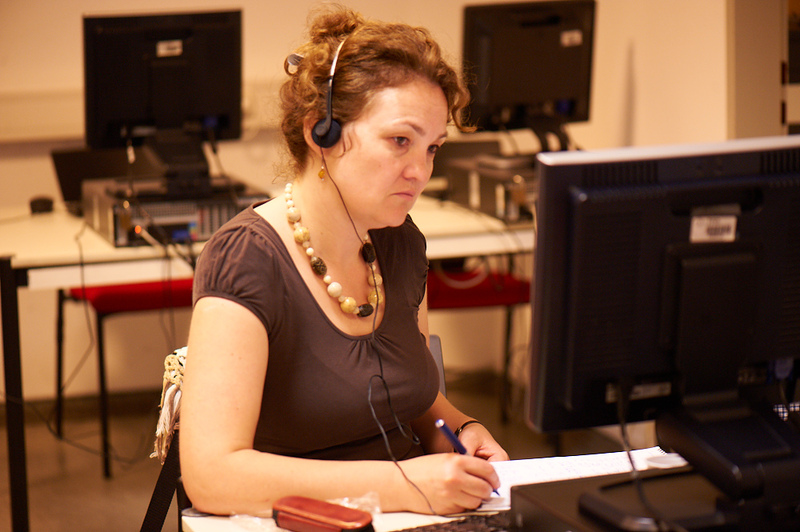 USC Shoah Foundation’s flagship professional development initiative, Teaching with Testimony is a two-year program that incorporates workshops, mentoring, and community building to prepare secondary school educators to search for and utilize testimony from the Visual History Archive, as well as digital learning tools such as IWitness. Teachers convene for an initial training session in which USC Shoah Foundation’s local liaisons provide instruction in using the Visual History Archive, building lessons and activities around the testimonies, ethical video editing, and other topics. 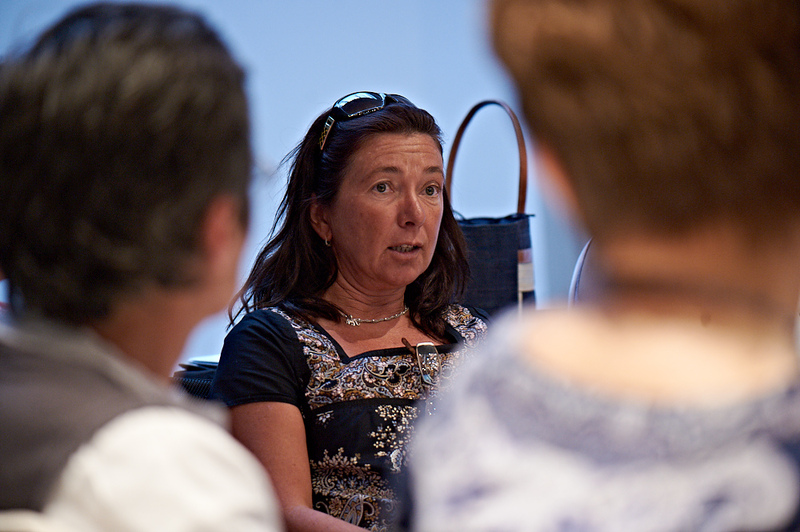 Participants pilot the testimony-based lessons they’ve created in their own classrooms and present them to a professional audience at their school or elsewhere over the next year, and then reunite to present their lessons to next year’s cohort and receive feedback. 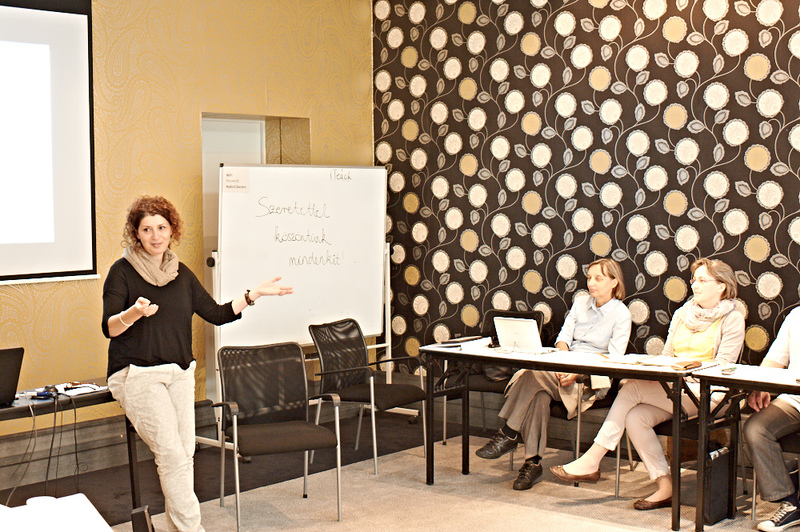 Andrea Szönyi, USC Shoah Foundation’s international training consultant based in Hungary, said a lot of time in the initial session was spent on how testimonies can be used effectively in education to increase not only cognitive knowledge but also develop various literacies including media literacy and digital literacy, and to develop empathy and social responsibility in students. 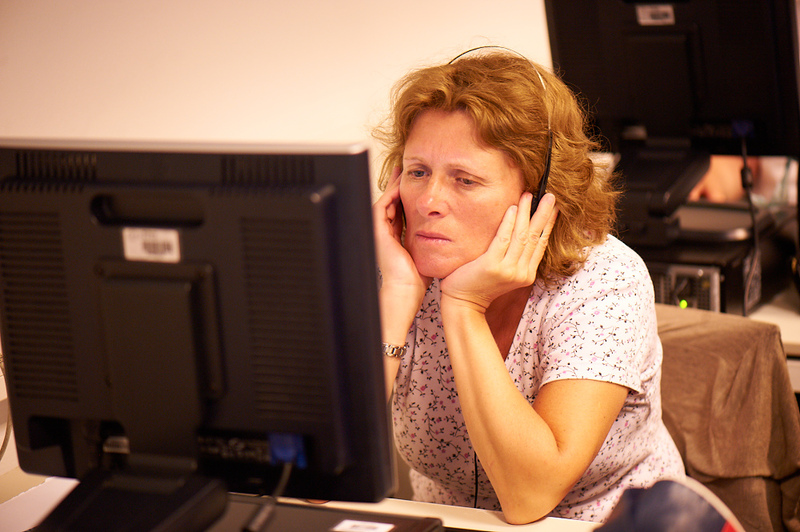 The participants spent considerable time doing individual research in the VHA to find testimonies for the multimedia educational products they will develop in the coming year. 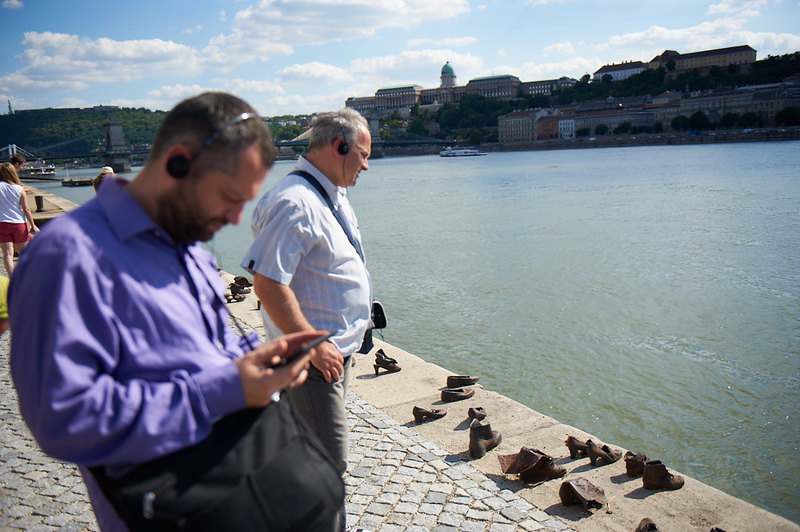 As part of the initial session, the group also went on IWalks in the Jewish district of Budapest and the Shoes on the Danube memorial. 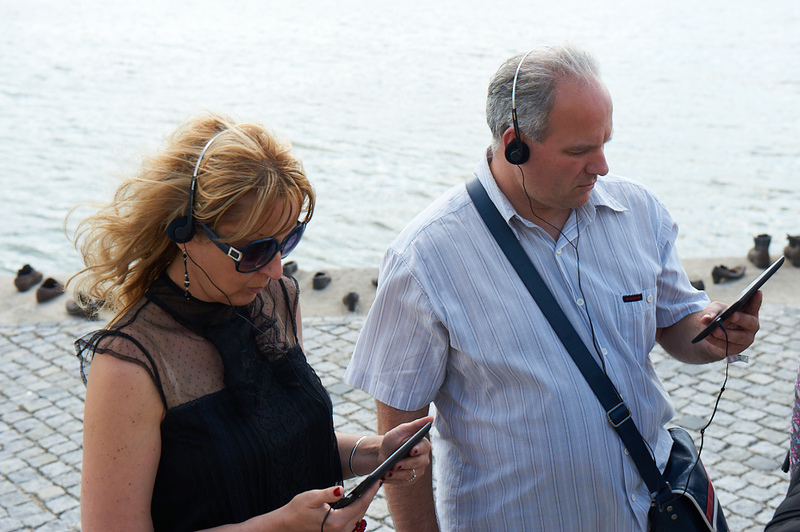 Launched in Hungary in 2013, IWalk is an interactive educational program that connects concrete physical locations with memories of historical events that took place on these locations in several European countries. Holocaust survivor and witness testimonies from USC Shoah Foundation’s Visual History Archive are combined with other primary sources during visits to authentic locations to provide the often missing spatial, social and regional contexts as well as the personal aspect of historical events. The designed onsite educational activities support the development of personal connection of students and members of the public to the past – enabling an impact of their actions in the present and the future. IWalks are currently offered for Budapest and Prague. The cohort will gather again in the summer of 2015 to share their developed educational lessons and the experiences they had using them in class. With this third group, a total of 52 educators have participated and/or graduated from Teaching with Testimony in Hungary.